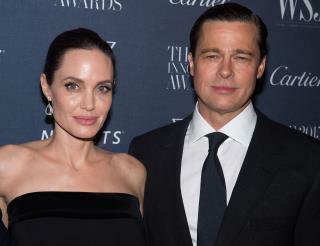 (Newser) – The ongoing saga of the Brangelina split is back in the headlines after Angelina Jolie's attorneys filed a complaint that claims Brad Pitt has paid no "meaningful" child support since the couple announced their intention to divorce nearly two years ago. Per NBC News, the actress is asking the court to compel Pitt to pony up because "the informal arrangements around the payment of the children's expenses have not been regularly sustained by [Pitt] for over a year and a half." Per the filing, Jolie intends to file for retroactive child support. Meanwhile, TMZ reports that Jolie has asked the judge to finalize the divorce before their custody dispute is even settled. The divorce became contentious almost immediately after it was announced in September 2016, when Pitt was first accused of roughly handling one of the children on a private jet. A subsequent investigation by the FBI and Los Angeles County cleared him of wrongdoing. Pitt, 54, and Jolie, 43, share six children ages 9 to 16.
Who cares about the troubles of Hollywood snowflakes? They don't care about you. That's so Jolie can continue with an extravagent lifestyle, as Hollywood stars do. This is like a multi millioniare suing another multi millilonaire for child support. Kind of laughable.